Hazing for members of college fraternities and sororities is illegal in New York State. So is underage drinking and use of many recreational drugs, but laws can only do so much to control behavior. 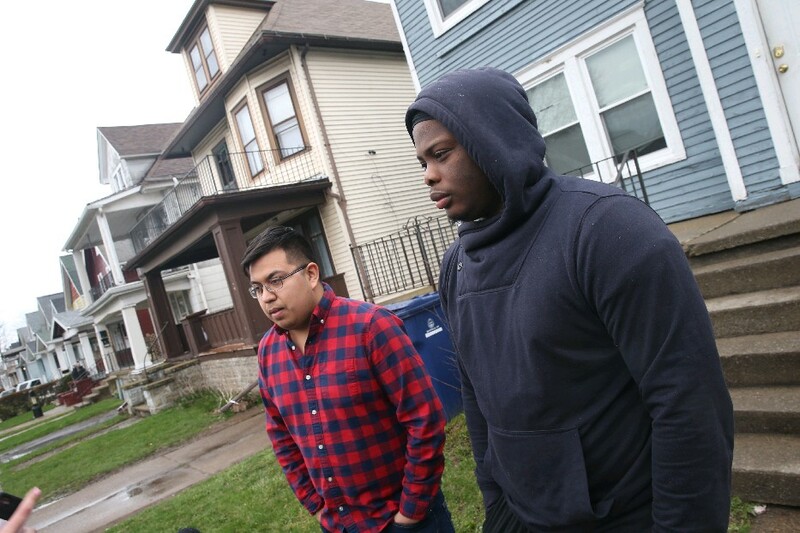 After 18-year-old University at Buffalo fraternity pledge Sebastian Serafin-Bazan went into cardiac arrest during a possible fraternity hazing incident, the university responded swiftly, suspending all activity by the school’s more than 35 fraternities and sororities. Good for UB. Even if colleges can’t prevent hazing, they must make it crystal clear that it won’t be tolerated. The university is doing that. On Monday, UB confirmed that a review committee of students, faculty and staff will review the incident from last week that left Serafin-Bazan in critical condition in Buffalo General Medical Center. UB’s Vice President of Student Life, A. Scott Weber, said he expects the committee to deliver a report on its findings before the start of the fall semester, and that Greek activities are suspended until then. According to Hank Nuwer, a journalism professor at Franklin College in Indiana, at least one hazing death a year has occurred on a North American college campus every year from 1954 to 1957 and 1959 to 2018. Many years involved multiple deaths. Three former Penn State University fraternity brothers this month were sentenced to jail time in connection with the death of a pledge during a hazing ritual in 2017. The three, plus another man, had pleaded guilty to hazing-related charges in connection with death of Timothy Piazza, a sophomore at Penn State. Piazza died after drinking large quantities of alcohol while pledging at Beta Theta Pi fraternity. In 2016, police investigated whether hazing played a role in the death of the SUNY Buffalo State College student Bradley Doyley, a 21-year-old from Brooklyn. Early Friday, Serafin-Bazan, a medical technology student from Port Chester, Westchester County, was transported to Buffalo General after going into cardiac arrest at the Sigma Pi fraternity house near the South Campus. Preliminary toxicology tests showed Serafin-Bazan had no drugs or alcohol in his system, officials said. Police sources told The News that fraternity brothers ordered Serafin-Bazan to perform exercises in their University Heights residence late Thursday into early Friday, when he experienced physical distress. He may have been suffering from the flu prior to the incident. Hazing in the first degree is a class A misdemeanor in New York State. Offenders can also face civil penalties for injuries or death resulting from hazing. If appropriate, those penalties should be fully in play with this case. The Buffalo Police Department and Erie County District Attorney’s Office will continue to investigate, and to bring more facts to life. An estimated 1,000 undergraduate students participate in Greek life at UB. It may not seem fair to put all of them on suspension, but UB President Satish K. Tripathi sent a clear message by doing so. The stakes are too high for him to do anything less.